The evolution of the electronics industry over the course of its collective lifetime has been awe-inspiring. It has become an integral component of the world’s economy with its once-simple technology changing into complicated processes. In order to ensure quality workmanship and smooth-running devices, many links along the supply chain are required to coordinate and deliver. The wide spectrum of products that the electronics industry deals with means that the vast multitude of these items will come in varied shapes and sizes. 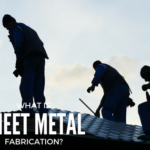 If that weren’t enough, the tenuous relationship between any electronics and the heat that’s generated from their usage requires sheet metal fabrication that covers such concerns. Quick-Way knows how to navigate matters dealing with heavily-regulated items and the surrounding environment in which they work. Quick-Way fully addresses all pertinent factors to a customer, achieving an optimal comfort level. Looking inside an electronic-based device you can see the elaborate intricacies of their inner workings. Many parts are customized. The electronics industry is known for its ability to continually find ways to reduce devices size while expanding their capabilities. Electronics within the computer industry often have a short lifespan. They have the need to adapt quickly to change paramount to moving forward. Customer service, when it comes to metal stamping for those in electronics, means being nimble enough to address orders while maintaining cost containment. 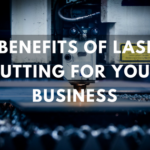 That ability of electronics firms to continually shrink their product and the parts within has meant that laser cutting has become an absolute necessity when seeking to remain nimble. The human eye can only see so much. Playing a guessing game when it comes to cutting smaller and smaller parts is courting disaster. 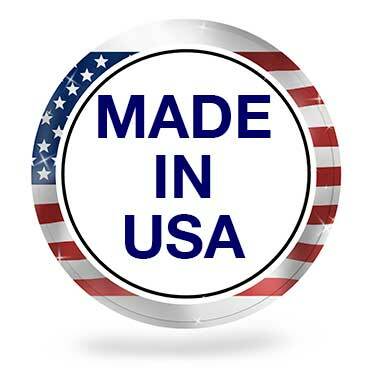 Use of a laser will help eliminate machine-based cuts that lack the requisite smoothness for such sensitive products. 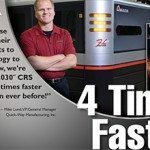 The faster production process that lasers can provide helps quickly turn prototypes into reality, thereby keeping the cutting edge sharp. 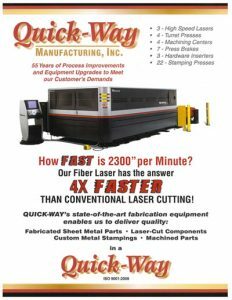 Quick-Way Manufacturing has been in business since 1961. 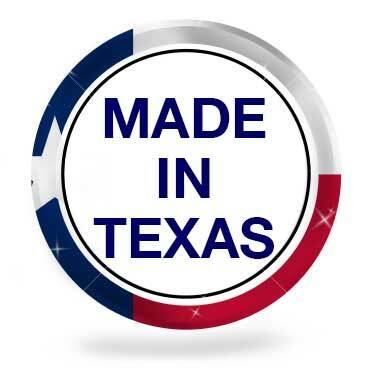 The company’s abilities in the areas of sheet metal fabrication, metal stamping and, more recently, laser cutting have made it a natural for those in the electronics industry. So make sure to contact us today and get you started on developing the trend-setting items of the future.